In his set of proposals for a new constitution, Dr. Laksiri Fernando has rightly pointed out the need to include fundamental rights in a much more comprehensive manner. However, in the area of religious freedoms he seems to go overboard by proposing an additional constitutional guarantee which says that ‘’No one should be prohibited or discriminated for wearing attire by one’s own religion or belief.’’ While I have no quarrel in assuring freedom to believe and practice a religion in a peaceful manner, it is totally inappropriate to provide a guarantees in a secular constitution to safeguard various contested beliefs within a religion. In regard to the attire the very words “prescribed by one’s own religion’’ are problematic as authenticity as well as the relevancy of such prescriptions, if they exist, could be contestable. To understand this point, one should watch the award winning film Timbuktu (2014) directed by Abderrahmane Sissako in which a female Muslim fishmonger offers her hand to be cut off because she can’t sell fish with hand glows when religious extremists prescribe hand glows as a part of the religious attire of Malian Muslim women. One’s attire is entirely a matter of personal choice and no religious authority should be given a constitutional power to determine on what a person should wear in his or her day to day life. But what is proposed by Dr. Fernando legitimises the desire of certain religious authorities to enforce their specific interpretations of attire among the followers who might have different interpretations on the same subject. Therefore, providing a constitutional safeguard to specific believes and customs within the religions is a misconceived idea. Nonetheless, Dr. Fernando has raised a very important issue as to how we might be able to include socio-economic and cultural rights in the constitution in a manner which can be truly realised in practice. Unlike the civil and political rights, inclusion of socio-economic and cultural rights in a constitution has not attracted sufficient attention of the constitutional pundits. President Franklin de Roosevelt one time publicly recognised this deficiency in the American Constitution and wanted to compensate it by adopting a Bill of Economic Rights, which unfortunately was conveniently shelved by his successors. But one important element we have to keep in mind is that there is an obvious interdependency between the two rights groups, namely the civil and political rights and socio-economic and cultural rights. Therefore, both groups of rights should be treated as equally important. However, compelling the State and its constituent parts (Legislature, Executive and the Judiciary) to actively protect and promote them, needs a well-defined constitutional obligation by which all legislations, policies, administrative directives and judicial acts should have a clear duty to foster capabilities of the people to fully enjoy their fundamental rights. Along with the civil and political rights, the social, economic and cultural rights enshrined in the constitution therefore, could be prescribed in the constitution itself as the guiding determinants of the national development policy of all governments. Succinctly put, the constitution thus would become a mutually consented and well-articulated social contract between the government and the governed under which the fundamental duty of the government would be to build capacities and capabilities of the state institutions to enable the people to fully enjoy their constitutional rights including those of which are in the socio-economic and cultural fields. Thus, when choosing a government, the voters should be able to determine which political party or a group is more committed and capable of implementing a truly right based approach to development. The constitution could make it a requirement for all the political parties to articulate their election manifestos in line with the obligations mentioned in the fundamental right chapter of the constitution. It is the Judeo christian society and Islamic society that don’t have religious freedom. Dr. Laksiri Fernando is correct, that the religions freedom should not only include freedom in belief, and also in attire, if that is part of the belief. If not, one must challenge All the Religions and sat that they all are Myths, and come up with Reproducible Scientifically valid proof. None of the so-called “Approved” Religions, will pass the test. So, the Muslims, Christians, Buddhists, Hindus, Jews. Zorastrians, Agnostics, Atheists and others following various beliefs in God, Gods, no-Gods, as well as those who follow the Satan, Iblis, like the Wahhabies and their clones must have the freedom to believe in their beliefs, however crooked they are to non-believers. However, it should be made a made a high crime to destroy a place of Worship or Religious Image, as well as physically attack believers, Infra-Religiously, as well as Inter-Religiously. This way, there is freedom to worship,invisible God or Gods, Visible Gods ( Are thee any), Statutes and Idols of Gods, and even Humans who are dead and gone, if that happens to be their belief. This should be a constitutional right of a citizen. Yes. freedom to believe and not-to believe, unmolested, and the State must protect this right. Those who violate this right will be severely punished, including the death sentence, along with those who are behind this violation. Apostates from Religions cannot be killed. It is up to religious believers and their promoters to prove that their religions are true, and convince the apostates to change their decision. The State protect the rights of both believers and non-believers, because they are citizens. After All what is it based on? Unproven Religious Myths? Not Reason? My Religion is true. Yours is False. Therefore, I do to Heaven foe ever, you go to Hell, for ever. All are agents of God’s Will? Any Proof for skeptics? Salvation based on Bad Evidence? Religious Barbarism? Invisible being? So should ever body is forced to believe that the Sun goes around the Earth, because Joshua said so in the Holy Bible, as the Catholic Church tried to impose and burned Giardano Bruno in February 1,600 C. E.? What about the other verses? Do you practice Religion selectively, instead of literally as the Fundamentalists want to do? What is wrong on Spending Eternity in Hell? Does it Exist? Awesome video of Sam Harris doing what he does best, destroying religion. In this video Sam again shows his amazing speaking ability to lay waste to Theist! Be sure to check out my other videos of Sam, Hitchens and other funny/crazy videos. Subscribe, like and share. I appreciate Mr Wijayananda Jayaweera’s critical appreciation of one set of my proposals for a new constitution. I refrain from over-responding to some of the matters that I disagree, respecting his views. However, I cannot leave my disagreement on what he has said or criticised me on ‘religious freedom.’ It is the following. 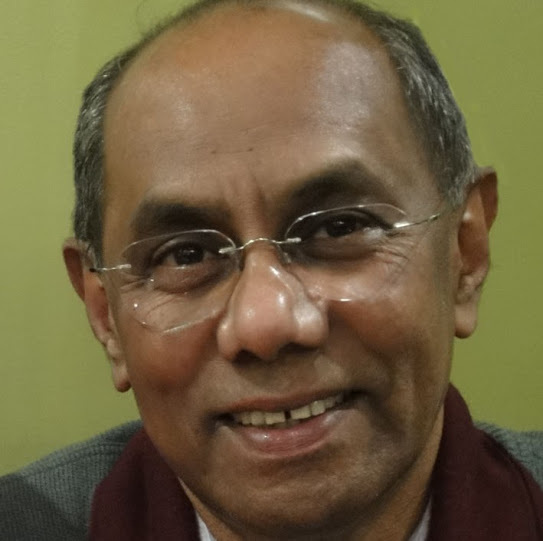 Although in moderate and temperate language, Mr Jayaweera has given a farfetched or ‘overboard’ interpretation to what I have said about ‘religious freedom.’ Perhaps it could be a misunderstanding. If one says, that the word ‘prescribed’ could lead to misinterpretation of what I have proposed, then I don’t have objection in formulating it (slightly) differently (at the drafting stage). It is very easy. ‘Based on’ instead of ‘prescribed by’ is one solution. But I would prefer to leave it as it is because there can be other objections or suggestions and I myself don’t see anything wrong with it. My formulation, I believe, covers both the positive aspect of religious freedom as well as negative freedom. Religious extremism or fear of it, is not an excuse to deny this right. On the other hand, denial of this right might drive people into the extremist fold. This is exactly what is happening in France and some other European countries today. I am not an expert at all on this subject, but my common sense says that there is something missing here regarding the rest of the people, non-believers. Your suggestions says people should have freedom of wearing attire and also practice (do some actions) according to their believing system. If followers of Jainism go completely naked in public, should it be allowed? Some religious practices have sacrificing 100s or 1000s of animal, executing them according to their religious ways in festivals. I read that Vikings (1000 years back) have a practice of sacrificing 9 humans in their festivals.. These things may strongly offend others, non-believers. How do we address this? Let the Religious people prove that that ritual has an effect and beneficial outcomes, beyond the benefits that accrue to the Priests, Monks and Ulama. They are selling cause and effect without support, purely based on faith and belief. So the Constitution has to protect their rights for this faith and belief, whether true or not? That is what freedom of belief means, but it shoukd not be at the expense of others, who are non-believers. Causality (also referred to as ‘causation’, or ’cause and effect’) is the agency or efficacy that connects one process (the cause) with another (the effect), where the first is understood to be partly responsible for the second. In general, a process has many causes, which are said to be causal factors for it, and all lie in its past. An effect can in turn be a cause of many other effects, which all lie in its future. Causality is an abstraction that indicates how the world progresses, so basic a concept that it is more apt as an explanation of other concepts of progression than as something to be explained by others more basic. The concept is like those of agency and efficacy. For this reason, a leap of intuition may be needed to grasp it. Accordingly, causality is built into the conceptual structure of ordinary language. In Aristotelian philosophy, the word ’cause’ is also used to mean ‘explanation’ or ‘answer to a why question’, including Aristotle’s material, formal, efficient, and final “causes”; then the “cause” is the explanans for the explanandum. In this case, failure to recognize that different kinds of “cause” are being considered can lead to futile debate. Of Aristotle’s four explanatory modes, the one nearest to the concerns of the present article is the “efficient” one. The topic remains a staple in contemporary philosophy. The nature of cause and effect is a concern of the subject known as metaphysics. A general metaphysical question about cause and effect is what kind of entity can be a cause, and what kind of entity can be an effect? I very much appreciate your opinion about attire because mainly it is timely. Extremism or even a tiniest faction of it should not be legalized because one day people will have to face grave consequences of it. Freedom of thought and freedom of expression must be guaranteed. freedom of having a faith on a religion comes under freedom of thought. Way of thinking is different from an individual to individual. There’s no scientific proof that thought passes to the next generation genetically, so parents don’t have controlling power whatsoever upon their children’s thought. (at least after they are over 18) and after the marriage husband has no power upon his wife or vice versa on thought. Though religions are becoming outdated they still play a major role in social life; shame; that even in the USA that claims to be the most advanced country. Talking about the attire; individuals must enjoy the freedom to dress as they like. What should be assured is that it is decent and within accepted social norms. Generally in Sri Lanka excessively revealing attire and excessively unrevealing attire are not accepted. Both these attires are indecent and anti social. (for both men and women). It is discriminating to accept any religion inspired attire. There’s a humane desire for anybody to reveal their body, especially for ladies. It’s natural and innocent. It’s sinful to curb that desire and it’s discriminating even on the grounds of religion. However we have to be sure that they wear it genuinely on their choice. freedom to give poor bowl of rice and convert them to Christianity ? and….Freedom to burn down/desecrate their houses if they practice Christianity. Should we bring this anomaly to the attention of Mr Donald Trump so that he can add Buddhists to his proposed ban on Muslims in the USA? The global spectacle of rampaging Buddhist priests has changed their reputation for ever. In our little Eden, there is enough evidence of people of all the main religions – Buddhists, Muslims, Christians, Hindus et al.- ‘taking matters into their own hands’, by followers ‘practising interpretations’ of their own religious beliefs. These malpractices are already tacitly enshrined under custom and practice in our thrice blessed land. Note: I have lived long enough to know that one’s quality of life is greatly improved by staying well away from all religions, They are all exercises in power over their adherents. Mainly by men. I cannot think of any main stream religion in Sri Lanka that allows women anything more than a bit part in practice. The sooner the better that we all convert to the peaceful and private practice of our sacred beliefs. Even better if Religion is NOT mixed with politics to create a heady and toxic mixture that causes normal people to suspend rational thinking. It is quite laughable that Gods need the protection OF mere mortals. More like Gods need protection FROM mortals. WE the People demand a Constitution by the People, for the People, and of the People. Let us not devalue it by including esoteric and arcane matters that are understood only by a chosen few, but will only lead to division of us all. The National Anthem of the Republic of Sri Lanka shall be “Sri Lanka Matha”, the words and music of which shall be as set out in the current Third Schedule of the Constitution. This is a constitution written by dabblers, part-timers, one-eyed-myopics, and a motley crew of the detached. Thankfully none of these buggers (hopefully) will be allowed anywhere near the real thing when it is crafted. What I read is a Constitution for Chaos. I am no expert on constitutional matters, but I am old enough to recognise a pigs breakfast when it is put before me. I have said it before, and I am going to say it now. RELIGION should have NO place in a 21st Century constitution. The entwining of Sinhala and Buddhism is a tool devised by devious politicians to perpetuate a bastardisation of true democracy. In the interests of brevity, let me just say that the Constitution should NOT be Sinhalese-centric but one with the SRI LANKAN foremost. Yes, MR, the great Liberator now in purdah, got one thing right when in the heady days of near-godliness he proclaimed “there are NO minorities any more”. Let that be one corner stone of the next constitution. All over the western world after 2000 years of practice, people are becoming Athiests, agnostics, spiritual and not religious. Most like to say they are not religious and they hate religion and says, religion created most of the mayhem on this earth. Dumb people who don’t know about buddhism try to classify buddhism also as a religion. most intellectuals are becoming buddhists while average people are becoming muslim. Here comes and talk religious freedom. Most educated people in the west are not religious. They call them Spiritual. Word religion is not a decent word there except among dumb. So, westernized kalu-suddhas want RELIGIOUSNESS in the constitution when it is a stupid word in the west. My opinion is you people are very unfortunate, when you had the fortune to be born in Sinhale and had the fortune to hear the word buddhism, you people are following christian principles and ideology even when Christianity is becoming extinct in the european world. It is not because of anything, every body who practiced christianity for 2000 years know, there is not almighty or christianity cannot provide solutions to the human problems. If Christianity can provide solutions to the human problems why new cult Evangelical church has to make women dance on the altar wearing Las vegas style cloths showing even their underwear. So when you write this kind of misleading articles, you are either dumb or most probably insincere and dishonest and is misleading people in the name of your religion. It seems to be the general view in this country that religion is A GOOD THING. People who profess to have no religion are looked upon with suspicion. The politicians insist that all children should go to Sunday school. Why? The current overdose of religion in the mass media has not improved the behaviour of the population. On the contrary. Another thing that should be legislated out is caste discrimination. This of course is said not to exist among Sihala Buddhists. Will someone have the guts to answer the question why the Malwatte Maha Nayakes have to be from one of a few Kandyan villages? Why is the position not available to a man from, say, Balapitiya? 1) What is the reason or the purpose for including this clause explicitly in the constitution? 2) Does this mean as of today, in the existing constitution certain segments in society consisting of believers/non believers are prohibited from wearing certain garments in public? If so please provide valid examples. 3) Also, since SL is considered to be the oldest democracy in Asia isn’t it inherent by nature that the current constitution must be having a clause supporting this already? ( most likely falling under the lines of freedom of expression or religion freedom). If so, why are we going this extra mile to include this clause? In my opinion, this may cause more confusion, or even result in unexpected consequences in the future. There are two elements here. One is religion and the other is freedom. Freedom is a right within boundaries. The boundaries are made for safety and discipline. When boundaries are absent, people may turn into animals. Religion is just belief. Belief is a psychological/physiological requirement. Let it be any religion. Wearing attire prescribed by any religion should not cause alarm or hinder safety or discipline. In other words in religious practices, prescribed attire should not interfere with the rights of freedom of others. The use of loud speakers, processions causing undue irritation to the public cannot be regarded as freedom. What kind of merit is associated with it? If not, a new attire may be introduced by a new religion, which may look like a orangutan. Are we to accept that also as religious freedom? The merit from religion comes from what we practice, while respecting others and the good things everyone does and not from primitive thinking processions and use of noisy loud speakers and also not from excessive worshiping of religious dignitaries in public. Constitution should keep away from religion, but deal with freedom only. Politicians and school children should be debarred from prostating before especially politicians. Old codger Balapitiya crowd are cinnamon peelers and they have their own Nikaya and the malwatte crowd plough the land.Weerawansa crowd beat tom toms.